Click here to visit the Smashburger site and click “Enter Now.” Then fill out the form and play their instant win game to see if you’re a winner. 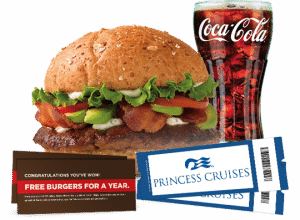 If you’re not, no worries because you’ll still be entered to win their grand prize Princess Cruise. You can enter daily through August 15th. Good luck!